On the night of the Oscars, only a crescent of the moon was lit by the sun. The rest was lit by sunlight bouncing off Earth, a phenomenon known as earthshine. 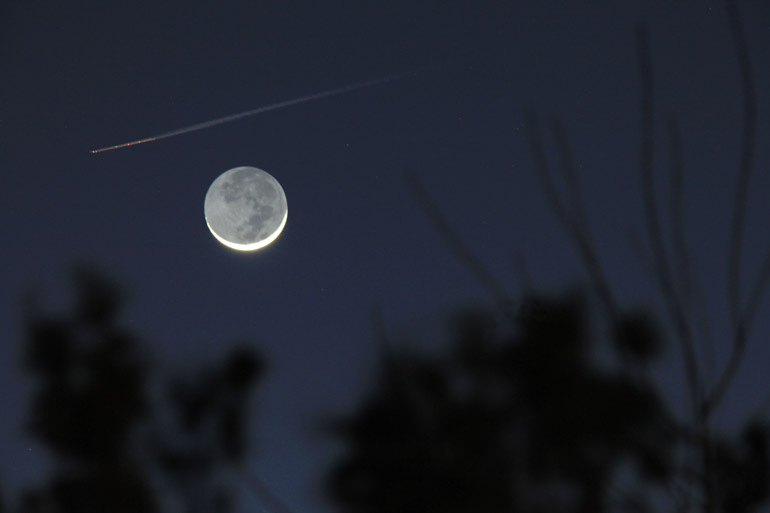 I've always found this sight pretty, so I snapped a photo from my backyard as an airplane happened to fly by. On Jan. 21, I had just reached my car parked atop the garage near the Charleston County courthouse when I noticed sunlight poking through the clouds. 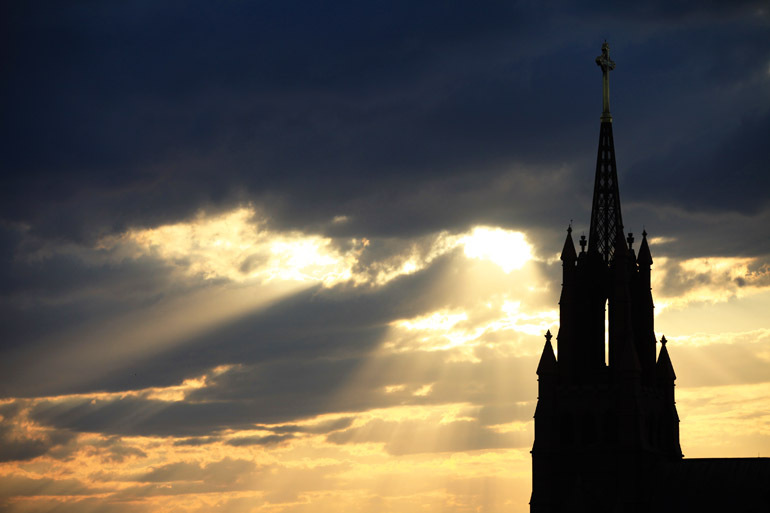 I took a shot with the silhouette of the Cathedral of St. John the Baptist in the foreground.